Being involved with students as leaders in my current role is one of the most rewarding elements to my job. I work with the students as digital leaders and I really haven’t blogged anywhere near enough about the work they do as I should do, given how much of a strong advocate I am for them. Hence I am writing this post. 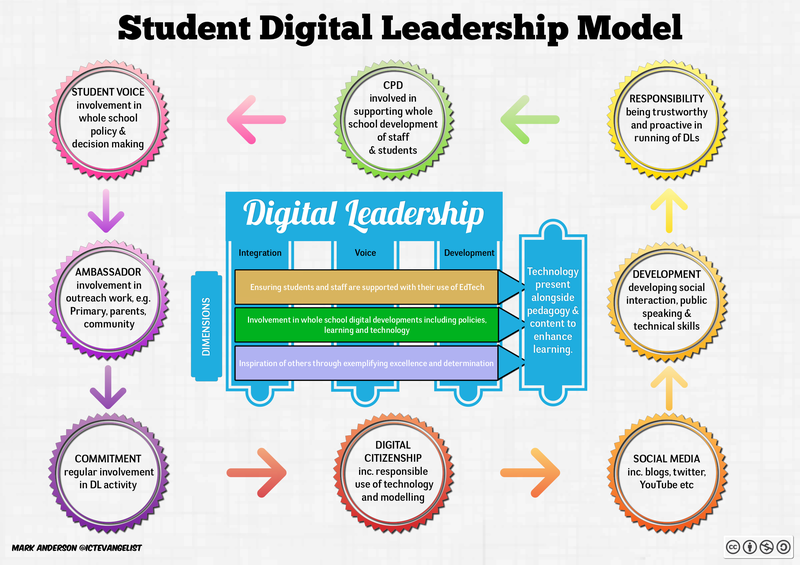 I first started digital leaders three years ago. My first ever ‘trial’ digital leader is in Year 13 now. An ex student from my vertical tutor group, let’s call her Fred; she was a maverick. Earning house points all over the place for helping teachers with their Web 2.0 and other EdTech woes. On top of an already very busy extra curricular workload, she helped me to see first hand how successful digital leaders could be. She may not have seen it, but her work and singular dedication to leading on issues related to digital learning marked a shift in thinking, through the support of others but especially in me. I decided then to recruit more in the next academic year with more of them, guided and given opportunities to develop their involvement in school life and digital learning across the school. As I reflected upon this, I think this model could be replicated in lots of other areas. Keven Bartle, who I’ve mentioned before on the site, Deputy Headteacher at Canons Park School, is running a workshop at TeachMeet Clevedon in a fortnight. His workshop is based around Pedagogy Leaders – creating a teaching and learning policy from the classroom up. Without stealing his thunder, I think he’s going to be talking about using students and their involvement and leadership skills to bring about developments in teaching and learning in his school. This example is further exemplified through the use of literacy leaders showcased by Sarah Findlater in her classroom. We know that sports leaders works and is a well established organisation where students can gain a qualification in sports leadership. Could this be another way forward? 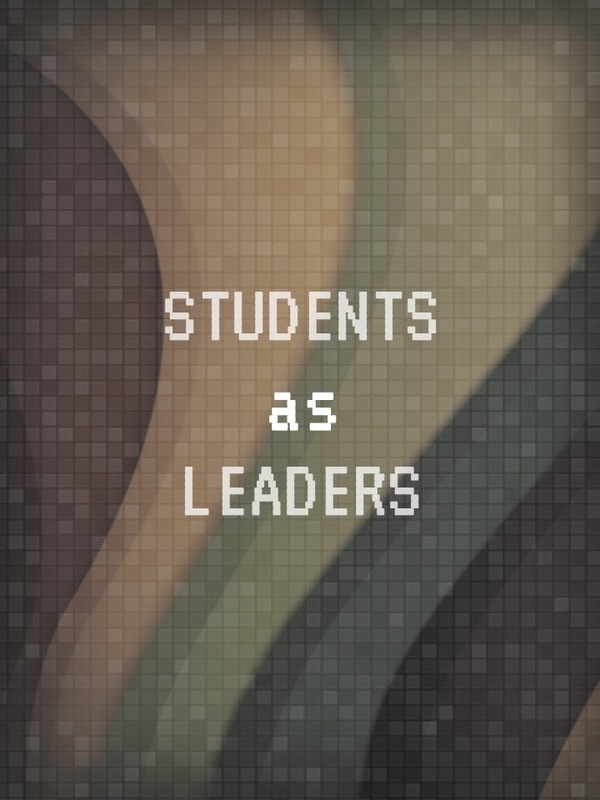 Formalise it and make student leadership pervasive for all students? It’s certainly food for thought. In the meantime, I’m going to continue working with the Digital Leaders and push things further and further. Their next project, whilst continuing with their ongoing work across the school, is to raise enough money in the next five weeks to buy an iPad mini to send to Kenya. Our sixth form students are visiting Kenya this summer doing some volunteer work alongside ‘Mend the Gap‘. The digital leaders want to send a mini out to Kenya to help the students there with their learning. We are in the process of setting up a ‘justgiving’ page and students are organising a variety of different fund raising efforts in order to get funds to buy the device and load it up with lots of learning apps. Such is the inspiration of these motivated leaders, they continue to inspire me every day. I hope this rambling post has been of some interest. 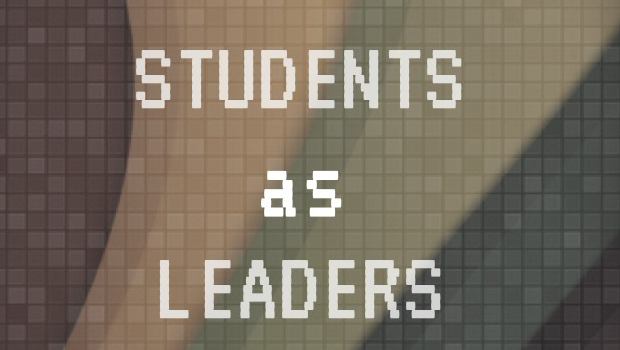 If you work with students as leaders in your school I’d love to hear of your experiences. Have I missed anything out in the model above? (I probably have!). I’d love to hear from you in the comments.